We calculate the Rényi entanglement entropy between two harmonically confined dipoles when the degrees of freedom associated with one dipole is traced out in the ground state. When the dimer is in a bound state, the ground state wavefunction is a product of two-mode squeezed states and an exact expression for the Rényi entanglement entropy is obtained. The entanglement entropy decays as a power of the separation distance between the dipoles and is a maximum at a critical length determined by the effective Bohr radius of the charge and the confinement length of the trapping potential. M. F. Dumanjog and F. N. Paraan. 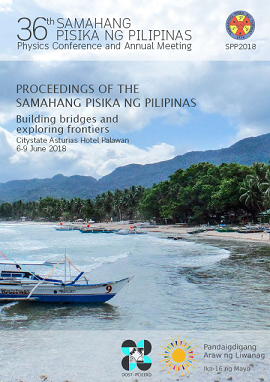 Ground state entanglement entropy between harmonically confined dipoles, Proceedings of the Samahang Pisika ng Pilipinas 36, SPP-2018-PB-53 (2018). URL: https://paperview.spp-online.org/proceedings/article/view/SPP-2018-PB-53.